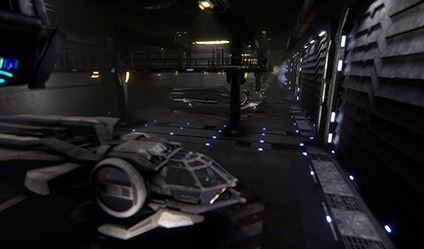 Star Citizen’s Hangar Module is Finally Released! After hitting F5 all freaking day, I can now announce that the Hangar Module for Star Citizen is now out, and you can get it here. You have to have at least one game package and one ship to be eligible for a hanger, and the download seems to be at least 3GB. I plan to download it as soon as I get home, but as I only have 6GB of RAM instead of the suggest 8GB, I’m crossing my fingers that it’ll run. If you get yours running, let us know about it in the comments! Running very nicely on my main PC ! I got only 4 gig of ram and it works without problem for me. Welcome to the comments Martin, and that’s great to hear! Con: It’s a money making machine. Even the manual costs money! Nothing’s free in this world, I suppose eh? Heck, people should be grateful instead that they instantly responded the situation instead of waiting until things getting much worse like MWO. Just a day the ‘store’ out, endless stream of people start bashing it for being pay2win. I’m impressed by their ridiculously retarded logic. Previous story Spacey Game Sales Underway!